Bangkok (Thailand) – November 28, 2016 (travelindex.com) – Chatrium Residence Sathon Bangkok is delighted to announce the appointment of Ms. Anrawiwan Vongvisetson as the residence’s new Director of Sales. Khun Anrawiwan has gained a wealth of sales experience working for hotels such as Bangkok Marriott Hotel Sukhumvit and Chatrium Residence Sathorn’s sister property Emporium Suites by Chatrium. 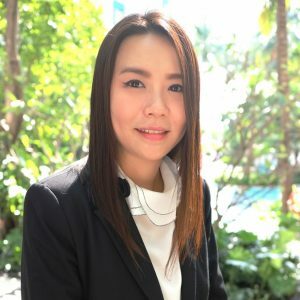 Her position prior to joining Chatrium Residence Sathon Bangkok was that of Corporate Associate Director of Sales for Bangkok-based parent company Chatrium Hotels & Residences. Khun Anrawiwan’s duties will include having overall responsibility for the strategic leadership of the Chatrium Residence Sathon Bangkok sales department and team as well as working in close conjunction with the property’s other directors to formulate corporate strategy; she will be involved primarily in developing a strategic direction for the company to ensure that departmental objectives complement each other.